Nutrition - Osceola Veterinary Clinic, P.C. Nutrition plays a very important role in the health of your pet. 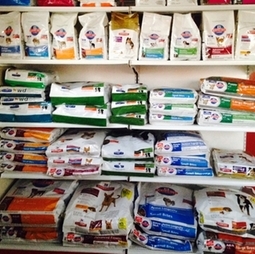 We can help you choose the correct type of food for your pets' needs. We stock all life-stages of Hills Science Diet as well as Hills Prescription Diets and Royal Canin and Purina Prescription Diets. Closed from 12:00-1:00 p.m. Phone is answered after-hours as a service to our current clients.